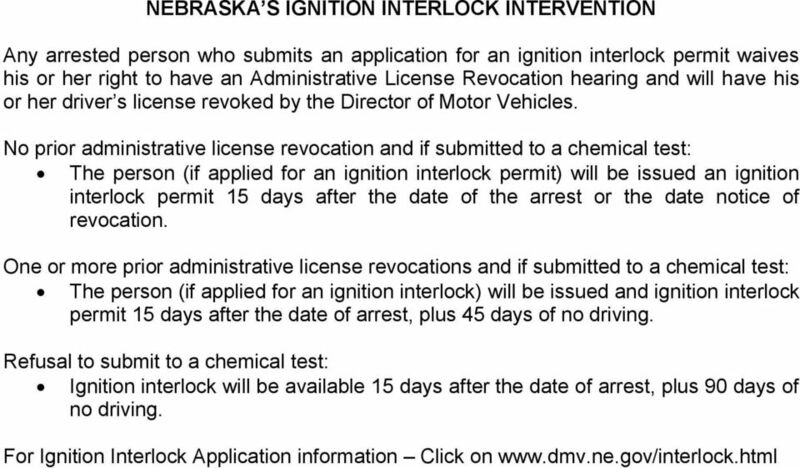 Download "NEBRASKA DRIVING UNDER THE INFLUENCE (DUI) LAW"
6 NEBRASKA S ADMINISTRATIVE LICENSE REVOCATION LAW ( through ) The Administrative License Revocation Law (ALR) allows a law enforcement officer to confiscate the license of a drinking driver on the spot when certain conditions are met. The ALR is applied administratively by the Department of Motor Vehicles (DMV). 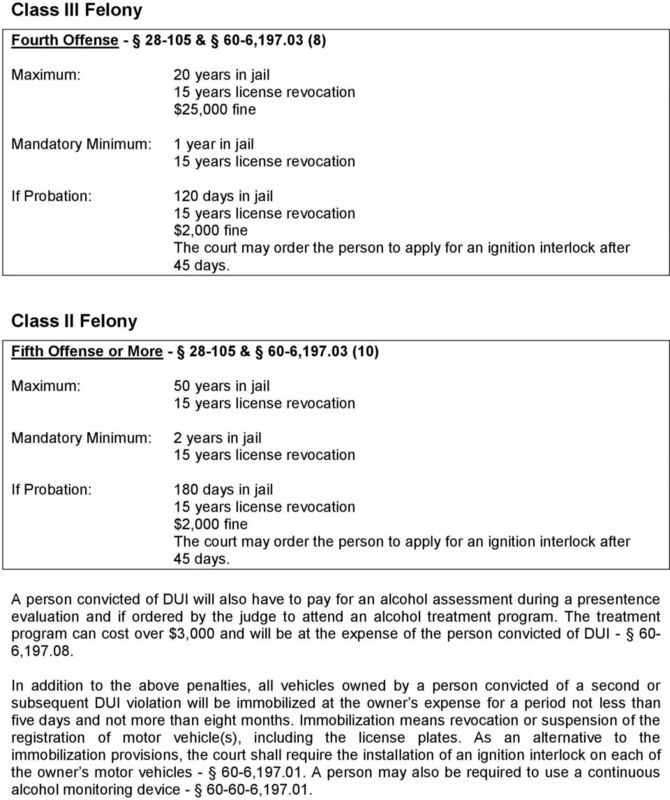 The penalties for the ALR are separate and distinct from any penalties assigned by the court for a conviction of drunk driving exceeding.08 blood alcohol concentration level or a conviction for driving under the influence. The procedure for the ALR is as follows: 1. The police officer pulls over the suspected drunken driver. If the driver acts drunk or performs poorly on field sobriety tests, the officer arrests the motorist for driving while under the influence. 2. The driver is asked to take breath, blood, or urine test. 3. If the driver fails or refused the test, the officer immediately impounds the license and tells the driver that the license will be revoked in 15 days. 4. 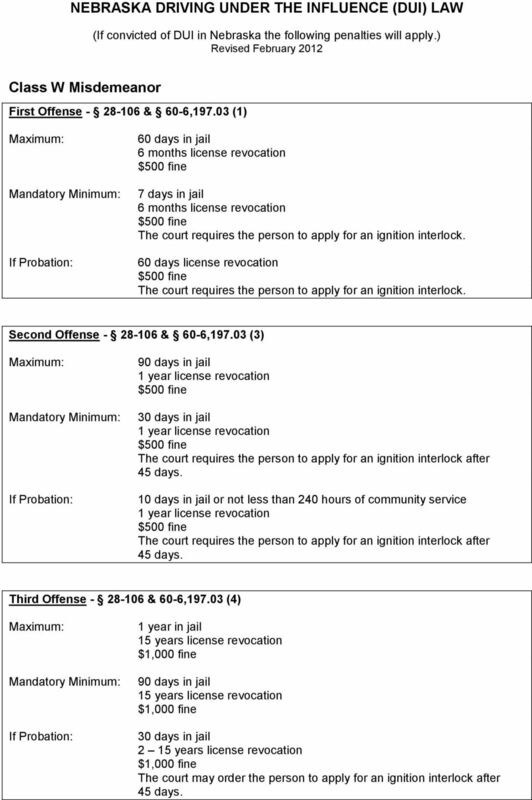 The officer provides the driver with a 15 day driving permit and information regarding administrative hearing and how to apply for an ignition interlock permit. 5. 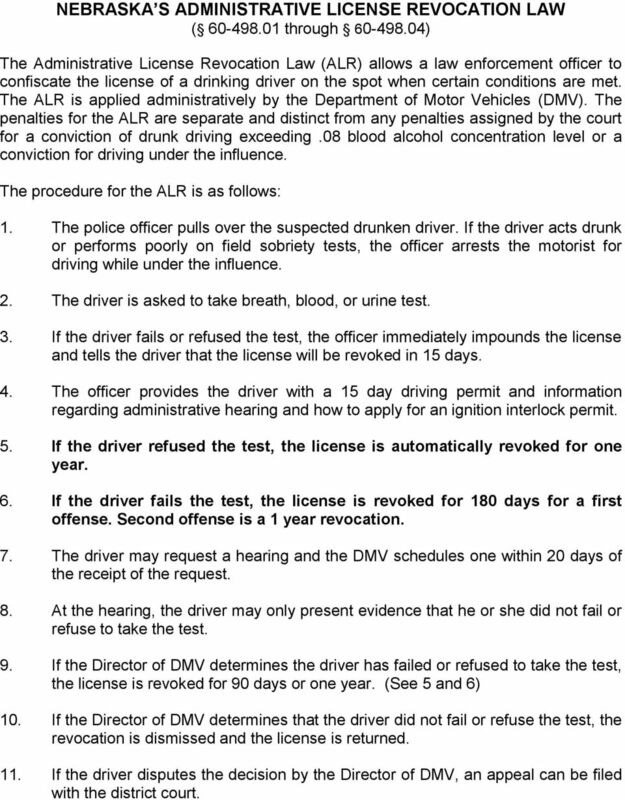 If the driver refused the test, the license is automatically revoked for one year. 6. 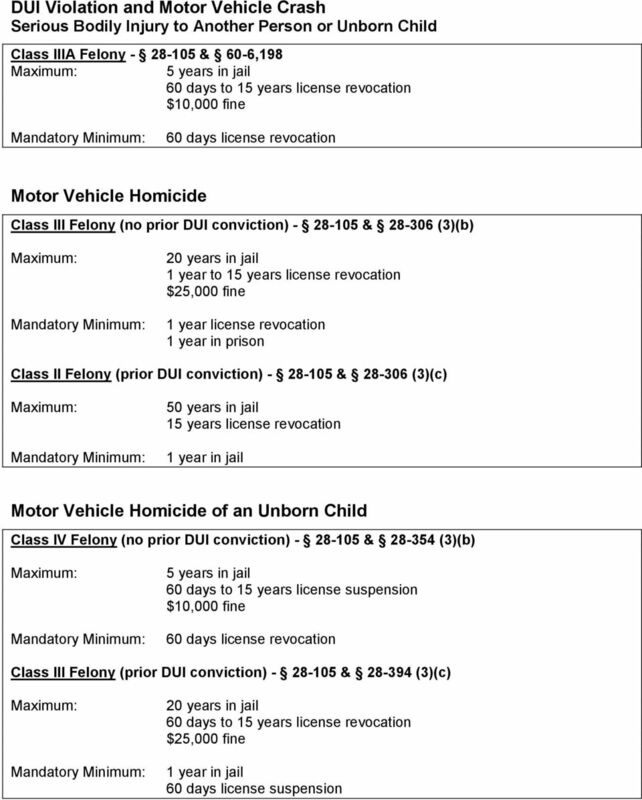 If the driver fails the test, the license is revoked for 180 days for a first offense. Second offense is a 1 year revocation. 7. The driver may request a hearing and the DMV schedules one within 20 days of the receipt of the request. 8. At the hearing, the driver may only present evidence that he or she did not fail or refuse to take the test. 9. If the Director of DMV determines the driver has failed or refused to take the test, the license is revoked for 90 days or one year. (See 5 and 6) 10. If the Director of DMV determines that the driver did not fail or refuse the test, the revocation is dismissed and the license is returned. 11. 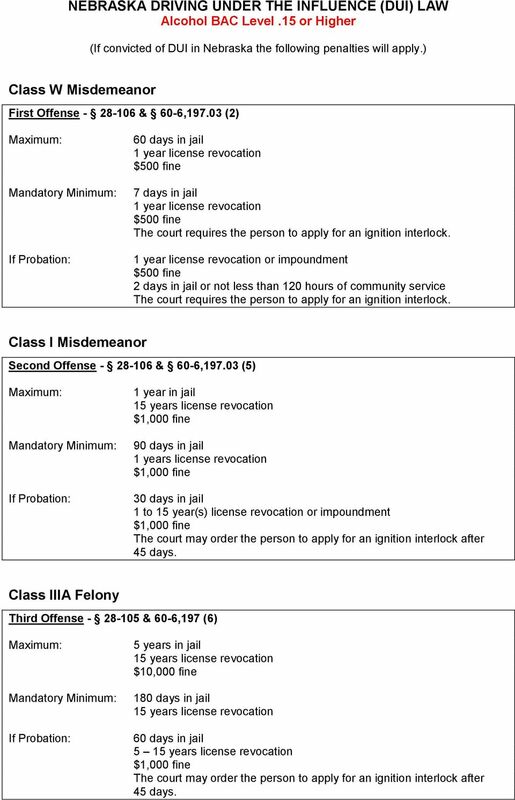 If the driver disputes the decision by the Director of DMV, an appeal can be filed with the district court. 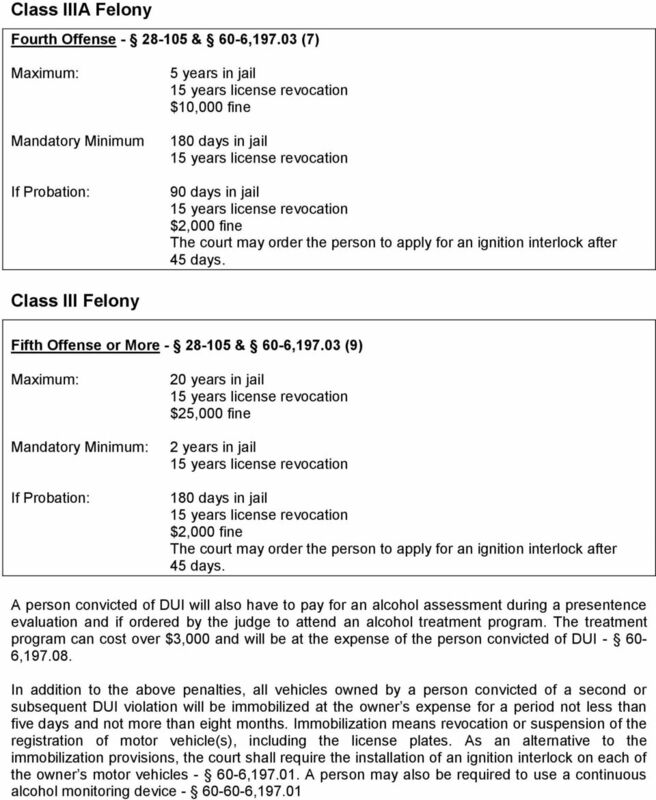 WHAT HAPPENS AFTER YOUR DUI ARREST?